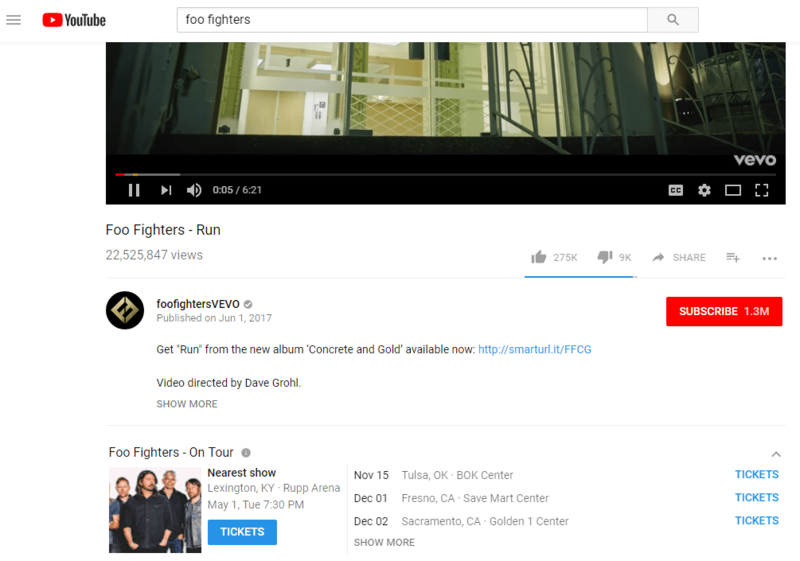 YouTube announced today a partnership with Ticketmaster that will allow users to view an artist’s upcoming tour dates and purchase tickets with the click of a button. The new integration will undoubtedly tap into a huge market given the popularity of the video platform. MTV lost the “music” portion to reality shows some time ago, and YouTube is now the main source for watching an artist’s music videos. On an official artist’s YouTube page or underneath an official video, any upcoming concerts near you be listed by closest location and link to Ticketmaster to buy tickets. As of today, the feature is set up for North American tour dates only, but YouTube says it plans to expand globally.